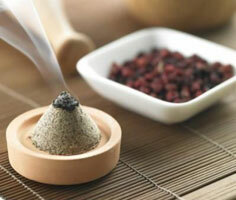 Moxibustion (‘moxa’ for short) involves burning the herb Ai Ye (mugwort or Artemisia vulgaris) over specific acupuncture points. Moxa, rich in cineole and eucalyptus essential oils, facilitates the movement of Q)i (pronounced "chee" and blood sending deep, penetrating heat into the body. Moxa is analgesic – it stimulates the adrenal glands and secretes anti-inflammatory hormones. 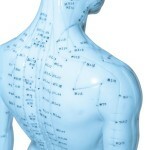 It is especially good for severe pain, stiffness and tension. 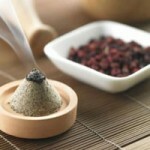 Moxa is often used for menstrual cramps, atrophied muscles, arthritis, shoulder, neck, and low back pain. 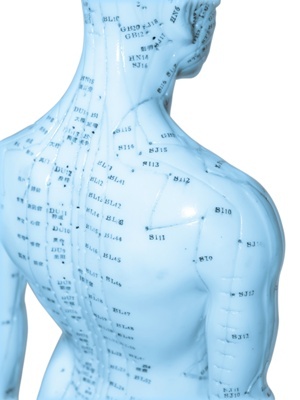 Moxa promotes blood circulation – it warms the body, promoting increased circulation in blood vessels. This results in detoxification, regulated blood pressure, and hormonal balance. Some medical researches show Moxa improves the immune system by increasing white blood cell count and T-cell count. Moxa is good for those who have weakened or imbalanced immune systems from cancer, HIV/AIDS, diabetes, prolonged diarrhea, allergy, asthma, chronic fatigue, and other chronic diseases.